Another Saturday another auction! Yesterday I went to the yearly municipal vehicle auction at the Town of Palmyra highway department. 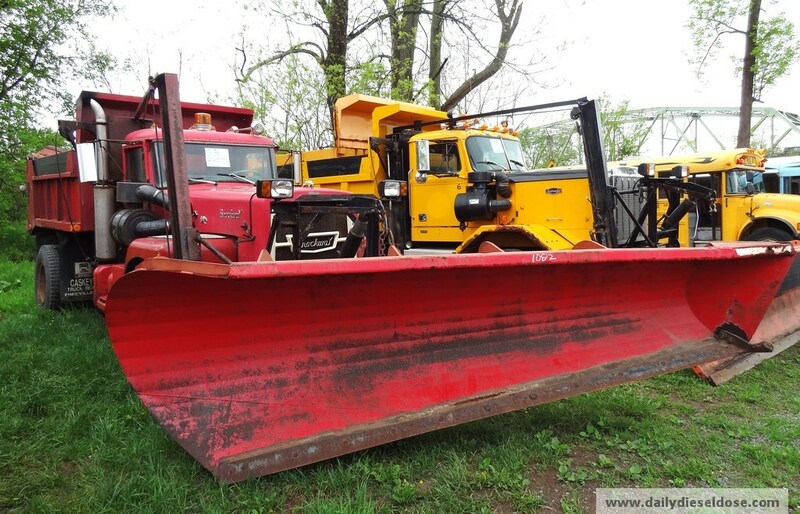 Trucks and other equipment from all over the area sell at this event. Until yesterday afternoon I thought I was going to skip this event but I eventually came to my senses. This was the first time I have ever been to this auction and this part of the world. I’m glad I went. Plenty of late model plow trucks of every make were on hand including some rare birds like a ’72 Brockway 361 and a 85 Autocar. To be honest they were the reason I made the trip but once I arrived there was plenty of other great things to see. I was surprised at the large collection of Ford L-Series trucks in very strong shape. There were more than a few Mack trucks to review including a mean looking AWD Mack. Between the Dobbins auction last week and the auction yesterday I’m drowning in material. I figure there is no better place to start than with a trusty Brockway. This ’72 361 has north of 124,000 miles on the odometer. 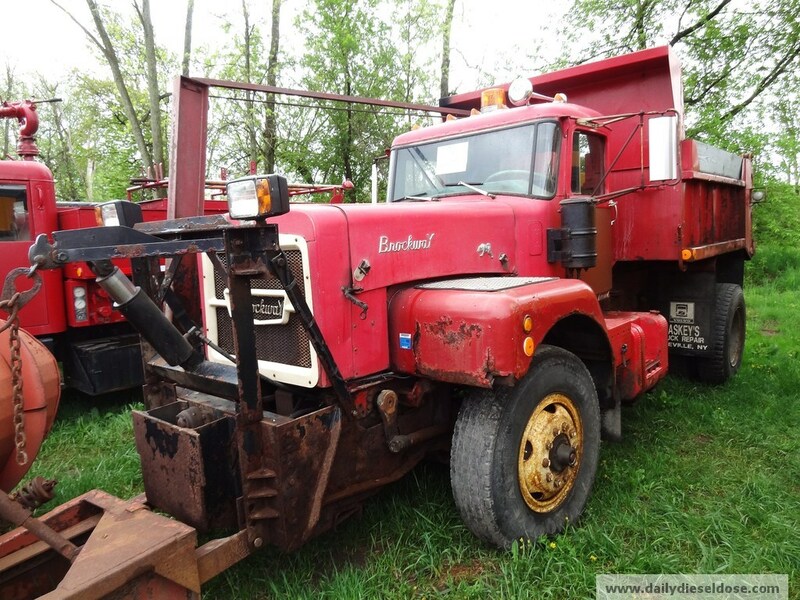 According to the auction paper work this truck once belonged to the Town of Ulysses, NY. All in all this truck looked rather good to my amateur eyes consider the year is 2013 and this rig has been tasked with plowing snow for all those years. The rust was minimal and very reparable. A Cummins power plant resides under the hood that seemed to rattle but maybe I was just looking for a problem. Moving to the cab found all gauges in place and in working order. The only way to rev up this rig was to mess with the throttle under the hood. The peddle in the cab was completely flat on the floor. Just a little something for the new buyer to tinker with. 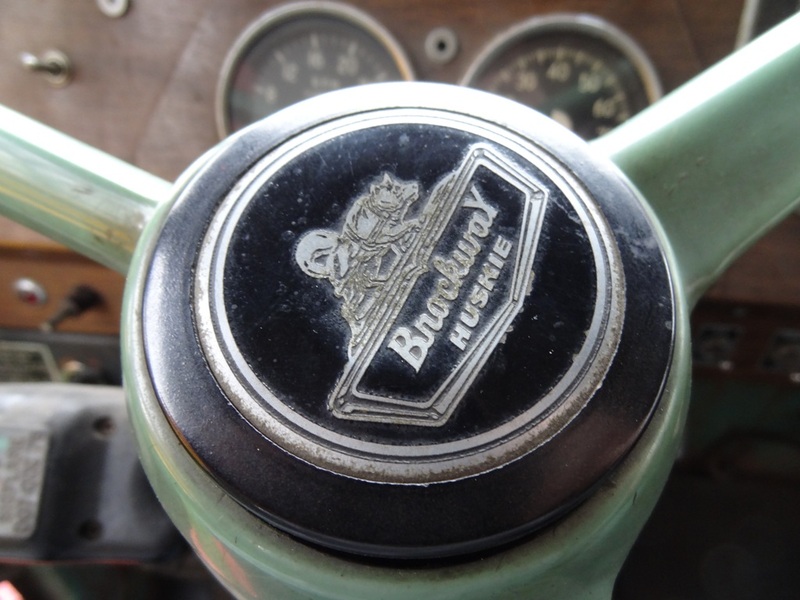 Here is a walk around video of the Brockway. Enjoy the sounds of the low air bell and Cummins on startup. Plenty more to come from this auction in the days ahead! 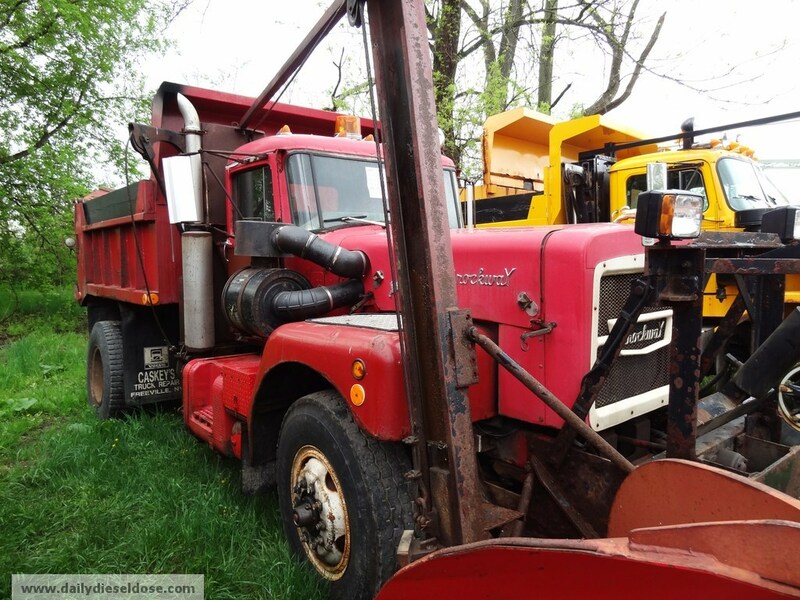 This entry was posted in Famous Trucks and tagged brockway 361, cummins, snow plow. Bookmark the permalink.